The “Draw a Search” tool allows you to be precise in terms of where you want to live. You can quite literally draw an outline of your desired locations, meaning you can even pick out individual roads! If you fancy being super organised you can even save your search areas by name. It can be anything from the location itself to the reason you like the area. When you’re finished drawing your own search area, you can then view all the properties that match. Possibly one of the most enjoyable Rightmove search tips and tricks is the “Where Can I Live?” feature. It essentially takes into consideration all your needs for your new home and the surrounding area. 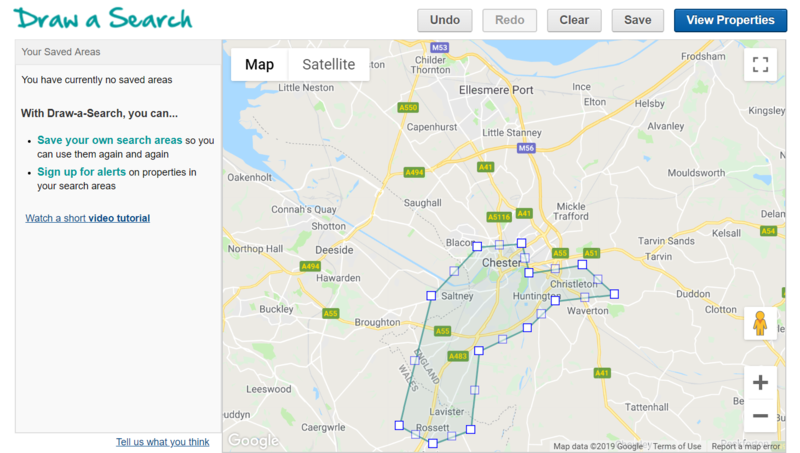 The tool asks users to type in where they need to be (such as a workplace or a school), how long they would be willing to travel and how they travel (car, public transport, by foot, etc). You can even choose more than one place, so it’s great for families looking to be near work and school! And, of course, you get to select the usual search criteria such as your budget, number of bedrooms and the type of property. Just because a property is “Under Offer” or “Subject Sold to Contract” (SSTC or Sold STC) it doesn’t necessarily mean it’s definitely off the market. If a house is under offer, it means a prospective buyer has put in a prospective offer and the seller has yet to accept it. But if the property is Sold STC then the seller has accepted the formal offer but contracts haven’t yet been exchanged. Make sure to include SSTC and Under Offer properties as you never know what could happen in the near future – the chain could fall through or the buyer’s offer may not be accepted. It’s always a good idea to keep your options open! 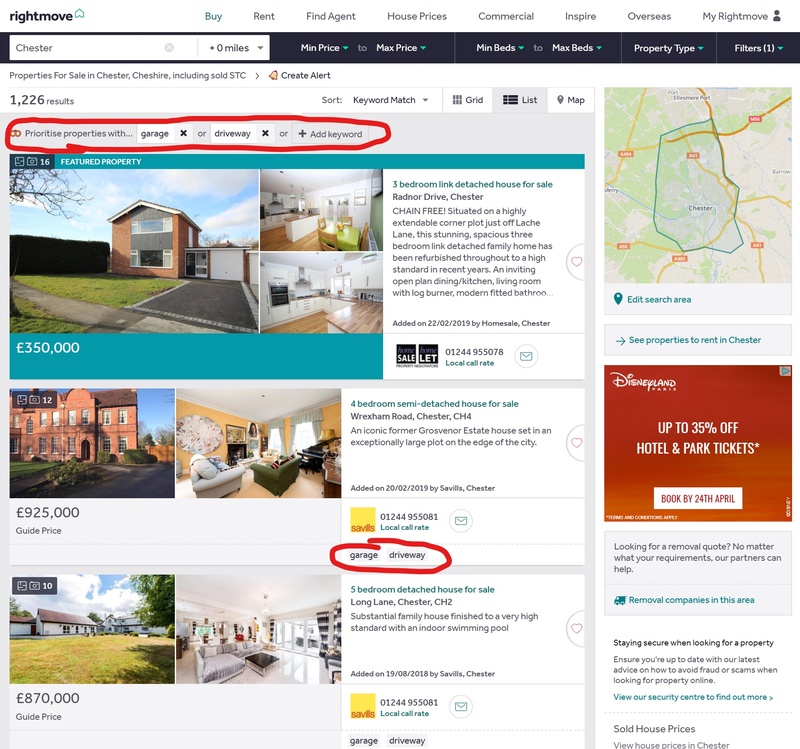 Once you’ve put in your budget, where you want to live, how many bedrooms you’d like and the property type you’ll be directed to the search results page. In the top right corner there’s a “Filters” section where you can choose some of the most popular “must-haves” such as gardens and parking. You can also eliminate certain results such as new homes and shared ownership.